The FDA delegation included the FDA’s President Gareth Hills, Vice President Fiona Eadie, ARC President Vicky Johnson and General Secretary Dave Penman. She called on the Government to “ensure that the hours of work for public servants are monitored and recorded, ensure that civil servants are compensated for all the hours they work and demonstrate how its commitments can be delivered with the resources allocated”. 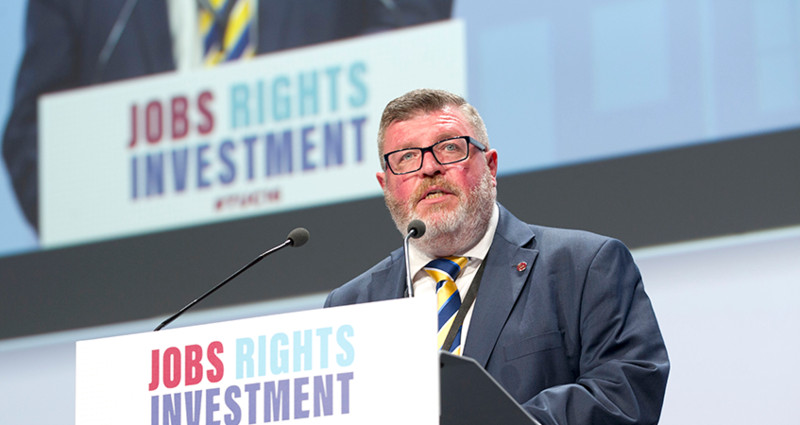 Penman spoke to move the FDA’s motion on making a success of Brexit, highlighting how the trade union movement “inextricably linked to the EU for over 40 years, now faces uncertain times”. He outlined the union’s concern about the “deafening silence from the Government on whether a single penny of extra resources will be delivered” to support the civil service’s successful delivery of Brexit. She urged the TUC to “hold the Government to account… We must work with the Government to provide certainty and job security”.